Your corporate mission revolves around helping others stay mobile. Affordable auto dealer insurance increases your power to keep your business moving. At Lester, Greene, McCord and Thoma Insurance, our experts help dealers further their success by minimizing the impacts of common risks. Like many business owners, your corporate success hinges on the security of your stock. 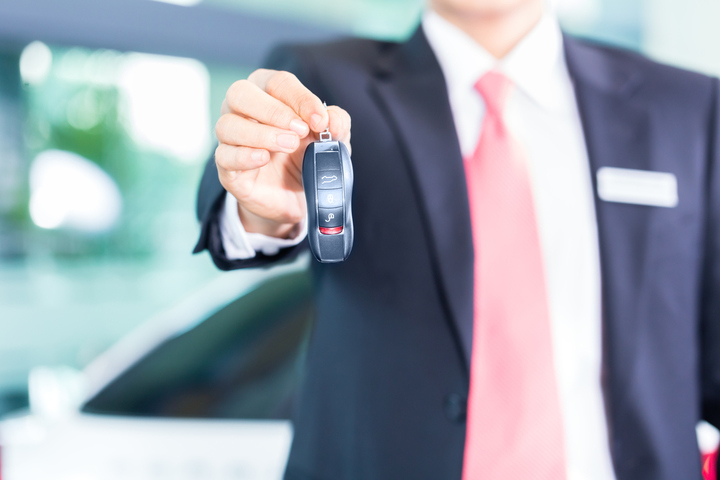 Regardless whether they’re new or pre-owned, the vehicles that you sell represent huge investments that demand protection. Auto dealer insurance makes it easier to overcome the potential disasters that could cripple your company. In addition to stepping in if the cars on your lot or in your service bays experience physical damage from crimes or acts of nature, we help you handle risks related to warehousing, garaging and other standard practices. Instead of forcing you to settle for general auto dealer insurance coverage that constrains your business, we work to build individual policies that complement the way you operate. We never discriminate against dealers because of their size or coverage requirements. Instead, we’ve made affordable auto dealer insurance offerings more accessible no matter how much coverage you need. Whether you’re an independent auto repair entrepreneur or you’re backed by a franchised network of dealers, talking to a Lester, Greene, McCord and Thoma Insurance expert enables you to avoid loss. Our agents possess in-depth experience helping automotive companies identify practical coverage strategies. Because we work with everyone from motorcycle and RV dealers to sellers who specialize in high-end performance vehicles, we’re intimately familiar with the subtle nuances that define effective coverage for different kinds of enterprises. If you are interested in finding affordable and reliable auto dealers insurance, give us a call right away at (931) 455-3453 to speak with one of our helpful representatives about getting a free quote for your dealership in Tullahoma, Manchester, Winchester, Lynchburg, Decherd, Shelbyville and surrounding areas.